My mom dressed me in cream-colored tights and a brand new cream-colored dress for my first day of kindergarten. I whined about having to wear tights, but my mom got her way that day. It was a new school, a new state and it was the first time I would be gone all day, five days a week. She fussed over my hair like she always did: like a director on set, making sure that everything was in just the right place. I vaguely remember her giving me some extra instructions about things I should or shouldn’t do. Being a mom who has experienced the worries that go along with sending two out of three of my own kids off to kindergarten for the first time, I can only imagine how her repetitive list of reminders for me, accompanied by her wide-eyes, were only further fueled by the fact that she was an immigrant, navigating these firsts in a country and language that wasn’t her first. She wrapped all of her worries up in my new clothes and sent me off to school stiff in their care. Even 30 years later, I remember these particular details so keenly because it was just hours later when my dress and tights were ruined at recess. I walked outside and scanned the playground. My sights rested on a silver metal slide and I got in line to wait for my turn to climb up and slide down. Once I reached the top of the ladder, I remembered a small girl climbing up behind me quickly and yelling down to a little boy at the bottom of the slide. She kept saying she was going to “get the next little girl.” Confused, I looked back at her because I had no idea who she was and I didn’t think she was talking about me. Once she reached the top of the slide and was behind me, she shoved me down hard. I went down sideways and landed on my knees in a mud puddle. 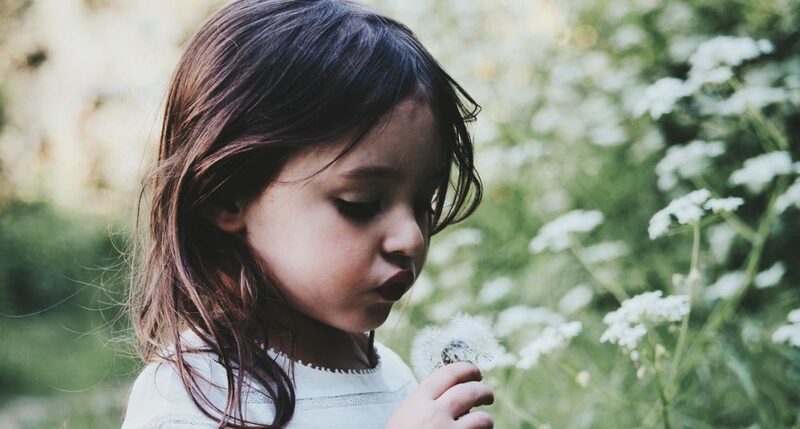 It turned out that I was the next “little girl.” She laughed as I sat in my all-cream-colored outfit now splattered with large patches of brown, and completely stunned. When I got home later that day and my mom asked me what happened, I told her that I fell. I left out all the other parts of the story. That night, I laid in bed wondering why I had been singled out and how it made me want to hide. No more pretty dresses. No more of anything that could get muddied up and ruined. For years I would look back on that memory and wish I had been stronger or that I had done something different in response; something that looked more like what I thought courage should have looked like. I would imagine myself standing up to the little girl, instead of staying seated in the mud for so long. For the longest time, I thought courage looked more like one defining moment of ferocity with the right words and expressions. Since I didn’t seem to have those, I decided I would push my feelings of embarrassment aside and hide them. I didn’t know that it would eventually take sharing my hidden stories to find that I was worth hearing and being seen. When I finally told my mom what actually happened that kindergarten day, I was a young adult. We had a conversation about the year we lived in New York and the school I went to, and I told her what had happened. After all those years, she never knew. I wondered if she might be mad at me, instead, she was sad that it had ever happened and that I had kept it to myself. I wish I could say that learning to choose vulnerability and to give my stories away came easy. But this struggle has been one of the longest battles of my life so far. It’s taken time and many long years to give voice to my story, but walking into the light with my stories has brought me freedom. It makes me think of the woman who bled for 12 years and was healed by the touch of Jesus’ robe. After such a long struggle, and years of wanting to be free from her condition, I can only imagine how many times she had already prayed or tried to fix it. Yet still, after all those years of failed attempts, she found Jesus. She made her pain known in public and in her vulnerability, she had the audacity to reach out. When Jesus asked who had touched his robe, she could have hidden, but she spoke up instead. She courageously told the truth and shared her story for all to hear. Her story of pain became her healing story. Her story of shame became her freedom. It was never in trying to be stronger that would have made my slide story not hurt as much as a little girl. It was in the telling of it, along with all the other stories I’ve told, that Jesus offered me healing. It is through reaching out that he continues to free every page of me. 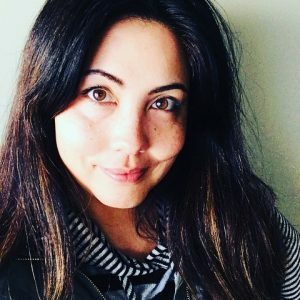 Tasha Burgoyne is a dreamer, a Hapa girl, wife to Matt and mama to three little warriors: two wild boys and one little lady. A coffee-drinker, story-lover and kimchi-eater, she was made to walk where cultures collide, from dirt roads to carefully placed cobblestone streets. Find more of her writing at tashajun.com. This article currently appears in The MOPS Magazine.